CPS students aren’t the only ones feeling the crunch. As I finished the first year of my teacher certification program this past spring, the graduate school I attend announced that in addition to the two year program of which I am a part, they would begin offering a fast track one year certification. They did so rather apologetically, admitting they opposed new teachers rushing into the profession without as balanced an amount of training and experience as possible. Essentially, they were following a tide: As TFA, urban teacher residencies and other forms of alternative certification make graduate school appear both more costly and more lengthy, many schools have begun instituting accelerated and online programs. As students, we understood the pressures, worried about what this might mean for the integrity of our program, but did little more than discuss the issue with the faculty we most trust. What we had not fully grasped until returning to class this last week is that by adding the one year program, the entire graduate school is essentially doubling the size of each of its new graduating classes. As courses in the two tracks overlap, the number of students in each skyrockets. When we arrived at our Teaching Science in Elementary Education class on Wednesday, one intended for a cohort of around twenty-five, we found the classroom over capacity with more than sixty students in attendance. All in different stages of the program, some of us are taking an entire year’s course load this one semester. Some of us have never taught a class or been shown how to construct a lesson plan, but will still be expected to student teach in the spring semester. All of us will be expected to gain adequate training, reflect and problem shoot sufficiently on observations we are making in our current public classroom placements, and become better lesson planers, in a classroom twice the size it was designed to be, with many of us doing twice the observations and outside studying as the program initially intended. What makes this shift alarming is not simply that it was never discussed with any of the members of the program, nor that it means many of us who sought out this school for its perspectives on social justice are not receiving the educational space we signed up for. (As students, we are deeply supported by the faculty who run our program, and can recognize the difference between their devotion and the university’s budget plans.) It is most distressing to note that as CPS students return to school this week, thousands of them in classrooms way over capacity due to the most recent bouts of school closings and budget cuts, the conditions they are facing are mirrored more and more in those faced by their teachers. The proliferation of fast track roads into education is indicative not merely of a lack of investment in teacher training, but in students and workers across the board. A transparent article in the New York Times this last week even laid the argument for the desirability of quick teacher turn over created by the charter school model. The trend is training teachers not to be resourced, experienced and knowledgable facilitators, but to be familiar already with the lack of support, high stress, insatiable demands and denial of workers rights that are quickly coming to characterize the schools of oppressed students. Another common notion–proffered by institutions providing fast tracks–that the offering of condensed programs is about educational justice, creating faster and more affordable paths to professional status, is criminal. If universities, the U.S. government and large corporations cared about affordable teacher training, they would lower tuition, restructure educational funding, and subsidize the study of needed professions, not cram ludicrous amounts of credits into single semesters. All these projects–from school closings and privatization, to one year and joint masters-teaching certificates–are about saving money in the short term, disinvesting in oppressed communities, and continuing to deny educational justice to those who have been denied it the most consistently, from elementary to graduate school. Many reputable members of the educational community are referring to these cuts and slights as a defamation of the teaching profession. From school staff to professors and union leaders, in the face of these reforms countless have called for more rigorous teacher training, more elite standards for program selection, and even a Bar-like exam to achieve professional status. Yet a year ago here in Chicago, when the CTU Teacher’s Strike led to some major professional improvements–including job security, more school autonomy over distributing resources, and more recent measures to significantly cut down the number of standardized tests administered yearly–these gains were made because teachers united as workers, not as professionals. By gathering under their grievances as a working class, and building longterm solidarity with other workers in the city, they created necessary leverage in thwarting the efforts of the mayor’s office, the city government, CPS and the media that backed them. Moreover, and more importantly, it was their advocacy for students and families that garnered them their most support. The foundation of their platform and the guiding principle of their collective action–that good learning conditions are good teaching conditions–is what enabled them to win the battles they did. If we are in solidarity with all students, as well as teachers and faculty who resist these reforms, then we must recognize these newest developments in “higher ed.” not as sources of personal frustration, or as undermining our potential status as professionals. They are the devaluing of the process through which communities become autonomous and empowered, a decided attack on the needs and rights of both current and future workers. Though the connection is not surprising, it should be underlined that as public school students’ classrooms become evermore crowded an under-resourced, so do the classrooms in which public school teachers are trained. We need movements and actions that demonstrate student and worker unity, that fight militantly for lower tuition, small class sizes, needed resources, and community-based autonomy, not the elevation and specialization of teachers as middle-class professionals. 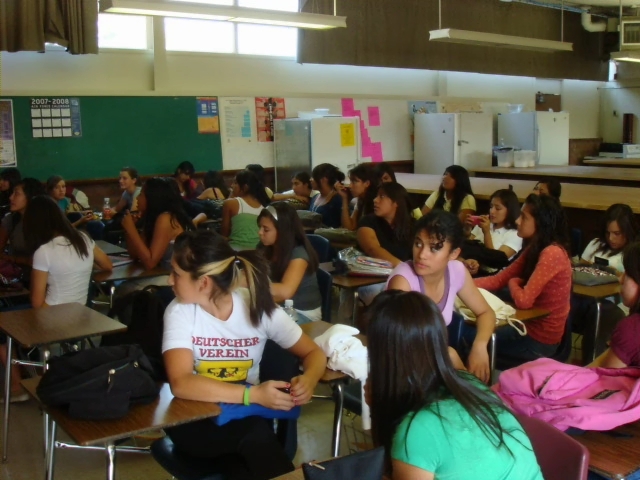 This week’s reflection on classroom overcrowding is just the most visible way in which the struggles of students and teachers are already tied, and must be fought as such. This piece was featured as a guest post at The Socialist Worker. Awesome, thank you. Incidentally, our program now requires an online course on classroom assessment (essentially a state-sponsored training in the Common Core standards) for graduation. The coordination of all these efforts is unnerving and infuriating.